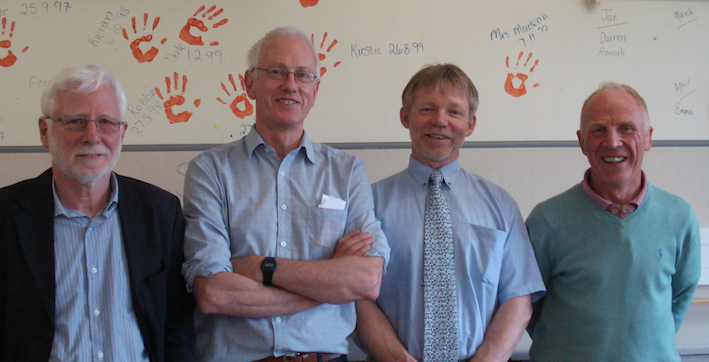 It's Independence Day today, but it was Liberty Day last Friday for five long-serving members of the KGS staff. Mrs Muriel Drever retired after 18 years as a Support for Learning Assistant. Mr David Drever left after 27 years in KGS, first as Principal Teacher of English and then as Depute Head Teacher. Mr Alistair Skene joined us 29 years ago and later became Principal Teacher of Physics. Mr Adrian Askew began teaching in KGS 30 years ago while he was Depute Warden of the school hostel and then joined the staff on a full-time basis. 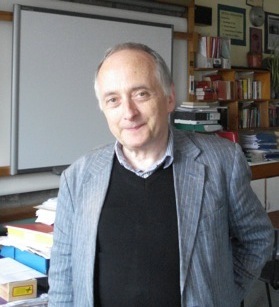 Mr Gerry Taylor has been an English teacher for 32 years and was both a Senior Teacher and Chartered Teacher. All have made huge contributions to KGS in many ways and will be sadly missed. We wish them all long and happy retirements. Today the KGS Darts Championships came to a conclusion with victory in the Doubles Final for Steven Skea and Ben Kirkpatrick. They defeated Robbie Hay and Fergus McIvor by two legs to nil. A presentation of prizes followed, including the highest placed girls - Elise Doull, Alice Scott and Megan Wilkie - and Douglas Corse and Aaron Wilkie for their part in organising and running the competitions. Thanks go from Dr Hall to all participants and spectators. Tomorrow we say farewell to two teachers who have reached the end of their probationary year having made a great success of their time at KGS. Both are moving on to adventures of different kinds. Art teacher Lorna Reid is taking up a post at an international school in Duisburg, Germany, while chemist Edward Nind is looking forward to "climbing my way round Europe". When asked the best thing about KGS, Lorna replied "the people - staff and pupils - who have made my time here enjoyable", while Edward was torn between "the enthusiastic pupils" and "school dinners". We at KGS wish them both the very best for the future. 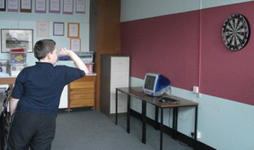 The KGS Darts Singles Champion is Aaron Wilkie, who defeated Aaron Prestwood after a long, close-fought match. Aaron won out in the test of nerves as both players sought the double finish which would give them the title. A large audience, who had watched in rapt silence, loudly applauded both boys. Mrs Alma Balfour has been appointed as Head of Guidance. Alma came to KGS in 1998 as a Biology teacher and joined the Guidance staff two years later. This post, which is equivalent to the one held some years ago by Mrs Jean Hargreaves, has been created to streamline the running of the Guidance Department. Award-winning poet Christopher Reid, whose poem The Song of Lunch was made into a television film with Alan Rickman and Emma Thompson, was involved twice with KGS pupils today. 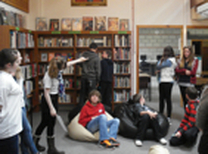 In the morning two Higher English classes went to King Street Halls to hear Mr Reid reading some of his work. This afternoon he visited KGS to speak to the Advanced Higher class and some other senior pupils. After recounting some details of his life and work, including being editor to Ted Hughes and Don Paterson, Mr Reid answered a number of intelligent questions from pupils who appreciated his warm, friendly and approachable manner. Mr Neil Ewing has been appointed to the post of Depute Head Teacher. He succeeds Mr David Drever, who is retiring this month. Neil has been in KGS since 2003 as Principal Teacher of Social Subjects. He will take up his new duties in August. 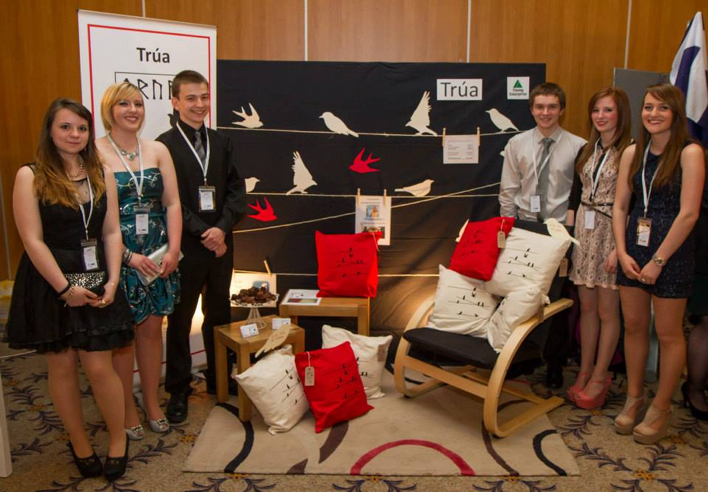 This year's KGS Young Enterprise team, 'Trua', won through to the Scottish Finals, which were held in Glasgow on Tuesday. 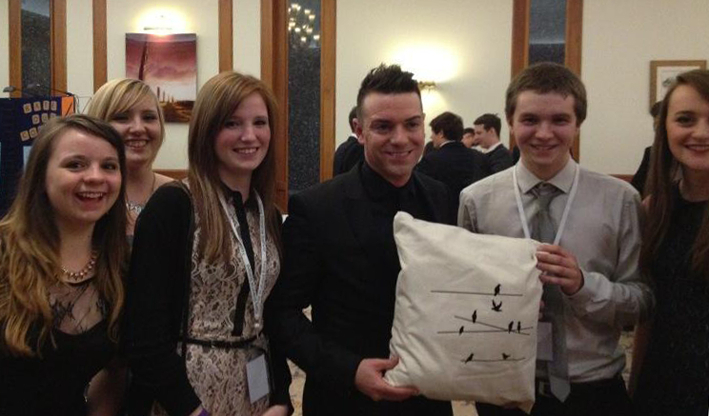 Our company acquitted themselves well and even sold a cushion to multimillionaire entrepreneur Sir Tom Farmer! Shona Flanagan from the Pier Arts Centre, our Business Adviser, won the Scottish Business Adviser of the Year Award and came home with a beautiful glass trophy. 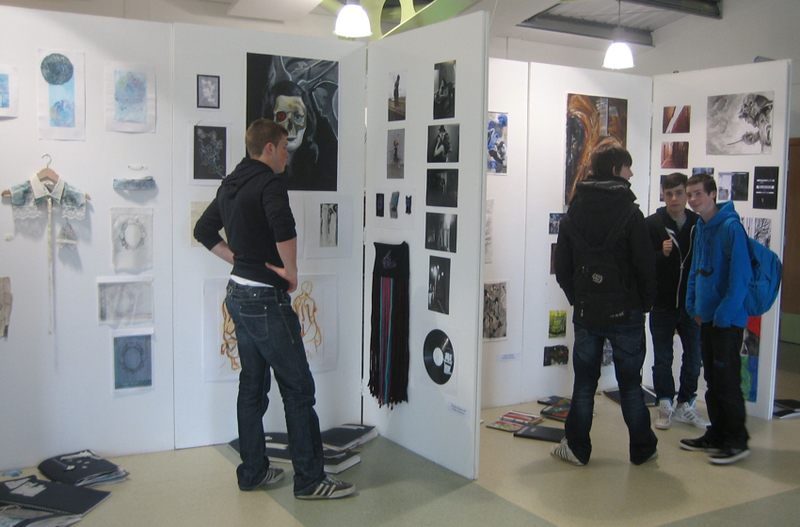 Senior Art & Design pupils have been visiting the annual Art Exhibition at Orkney College. 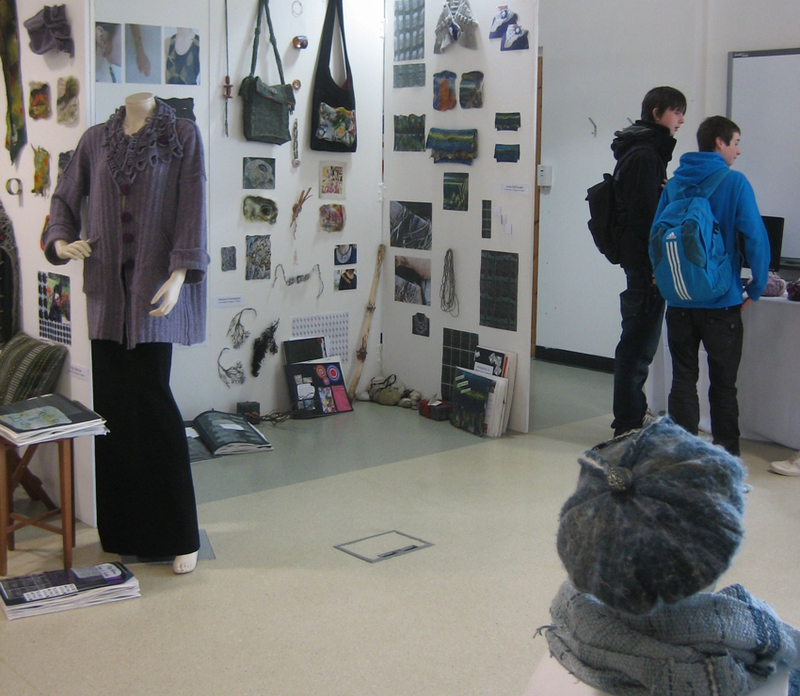 The exhibition showcases the wide range of work students have produced in the various courses offered. Anatomy studies were developed into analytical abstract pieces. They were very very interesting and seemed to express great imagination and thorough understanding of the theme. They were very realistic. The textile pieces ranged through heat press, screen printing, embroidery, knitting and crochet. 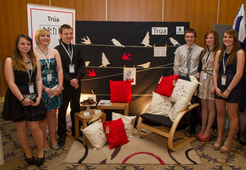 These showed great talent with a lot of attention to fine detail. An expressive painting based on a baby scan brought feelings of intimacy between the two figures. It was A0 size, which made it a prominent piece in the room. It was painted in monochrome colour which contrasted with the vibrant artwork surrounding it. 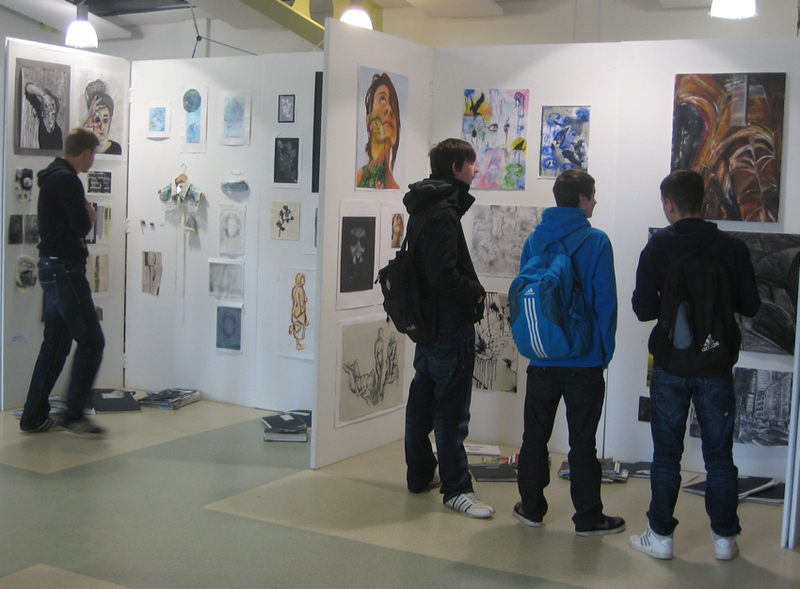 Also in the exhibition were works created by KGS students. It was very inspiring and motivating seeing work produced by students in our school, showing the fantastic talent we have at KGS! 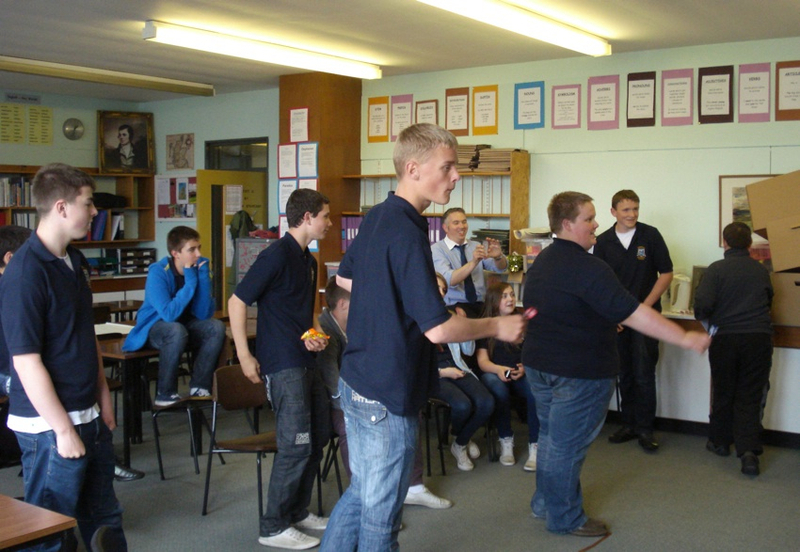 Play got underway today in the opening round of the KGS Darts Championships. Almost 40 boys and girls have entered the two competitions, singles and doubles. 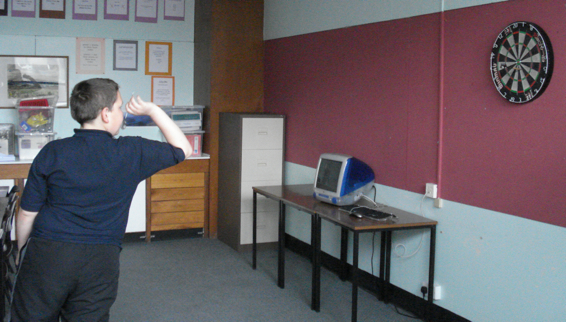 A fair crowd came along to Room 77 to watch the first matches in a respectful atmosphere. As well as a bit of fun/keen competition, the tournament aims to hone the mental arithmetic skills of players and spectators alike and contribute to the school's ongoing work on numeracy. The next matches will be held during Tutor Time and lunchtime on Monday - see Dr Hall to arrange fixtures. Today the P7 pupils who will be our new S1 visited KGS. After a welcome in the Dining Hall, they were divided into groups and spent the day touring the building, being familiarised with the school and attending some of the classes they will be in when they return in August. They also got time to relax and to sample the delights of KGS Dining Hall. 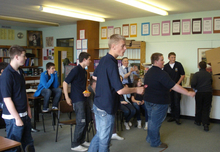 S6 helpers accompanied them and pupils from S2-S4 gave them information and activities as part of 'Metasaga'. Tomorrow they will more or less follow what will be their timetable when they begin S1. We hope they all enjoy their visit and we are looking forward to welcoming them again after the holidays. On Friday night 15 students boarded the ferry on the first leg of their journey to New York, where they will stay for four nights near Central Park. The trip will focus on art & design and the students will have the opportunity to visit world-class museums and galleries such as the Museum of Modern Art and the Metropolitan Museum of Art. 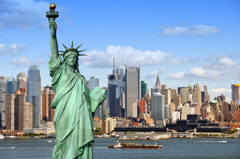 In addition, they will do some sightseeing, take in a Broadway show and generally experience the culture of one of the most vibrant cities on the planet. 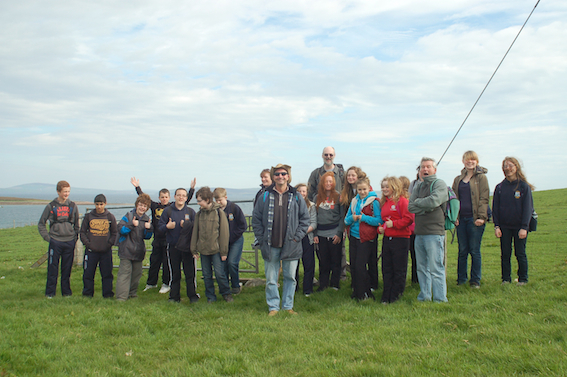 Last week almost 400 pupils took part in a wide variety of pursuits as part of our traditional Activities Days. With large numbers of pupils earmarked for the Drama trip south and Duke of Edinburgh expeditions, the remainder chose from 20 options ranging from sailing and trail riding to crafts and snooker. Unfortunately not everyone can get their first choice, as numbers can be very limited and the most popular activities get snapped up quickly, but we hope they all managed to find it worthwhile and enjoyable no matter what they did. Mr Tom Groat has been appointed to the post of Teacher of English. Tom had already been in the school since February as temporary replacement for Mrs Chrissie Hewes and successfully applied to become the permanent replacement for Mr Gerry Taylor, who is retiring at the end of this term. Tom was born in Kirkwall and grew up in Longhope. 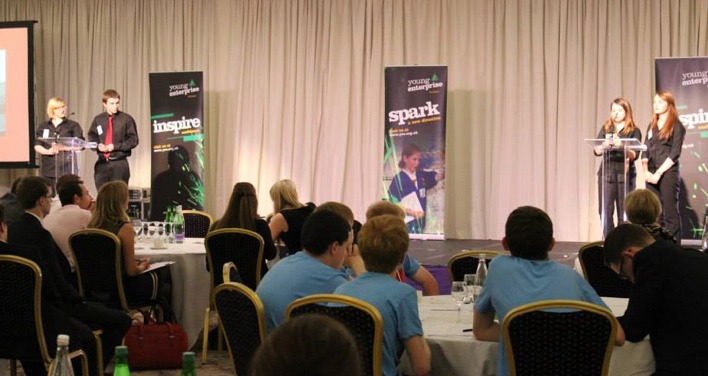 After attending KGS he studied at Aberdeen University and then taught in Stranraer for seven and a half years. We hope he will have many happy years in KGS.